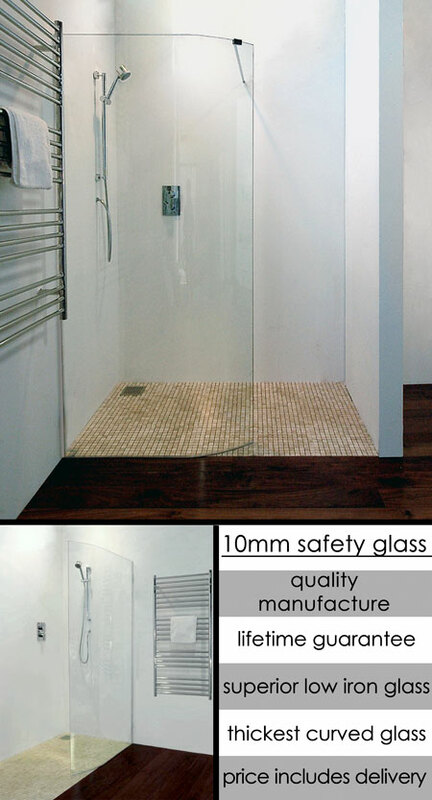 This high quality curved shower screen is manufactured in market leading 10mm toughened safety glass, which is the thickest curved glass on the UK market. This sleek shower screen is a completely frameless and is supplied with a chrome stabilising bar (if required) , making this a very solid shower partition. Each Curved Sail shower screen is supplied in "Crystal Clear" low iron glass as standard, which is far superior to standard safety glass. Ideal for a true wet room applications. * "Crystal Clear" low iron glass. * Crystal clear low iron glass. * Dimensions 900mm x 2000mm.